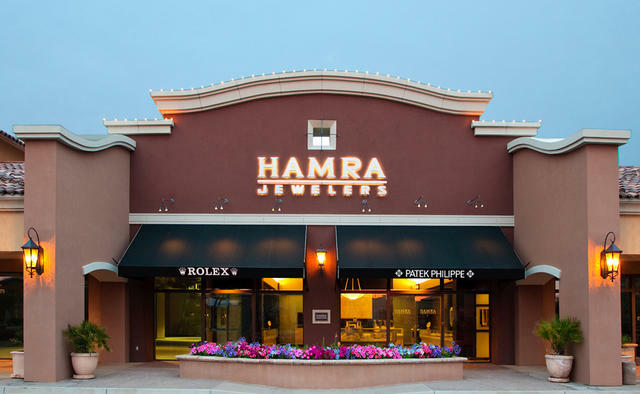 Soon celebrating 30 years of successful business, Hamra Jewelers is a familiar and well-respected destination in Scottsdale’s luxury retail landscape. 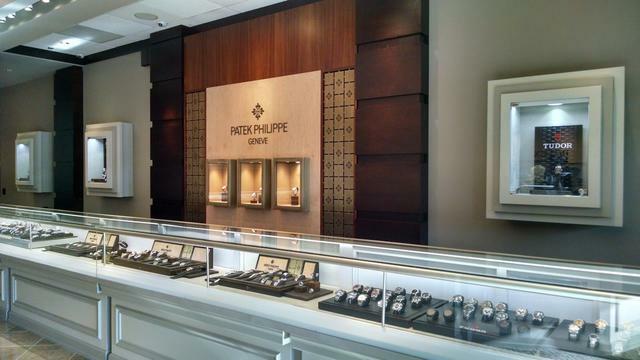 The store features a full range of items to suit the watch and jewelry needs of its local, national and international clientele, offering some of the best watch brands available, such as Breitling, Tudor, Rolex and Patek Philippe. Jewelry from such sought-after brands as Jack Kelege, Charles Krypell, Jude Frances, Simon G. Tacori and Forevermark are thoughtfully displayed in Hamra’s gleaming showcases. In addition, Hamra Jewelers proudly offers its own exquisite jewelry designs. 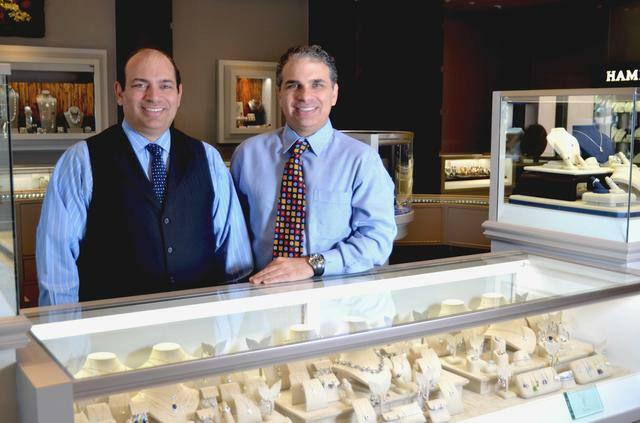 Owners Paul and Jeff Hamra say their knowledge of jewelry styles, trends and timepieces is reflected in the designs and brands they have chosen for their store. “Building a collection as unique as ours is possible only with the talents and expertise of a knowledgeable staff and the excellent relationships and reputation we have with our designers and suppliers within the international jewelry community,” they share. 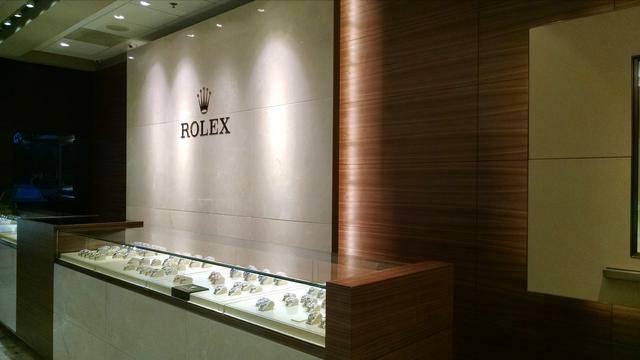 The contemporary design of the 4,000-square-foot boutique features clean lines and neutral tones, and the well-lit showcases and in-store boutiques for Rolex and Patek Philippe are fitting complements to the overall sophisticated ambience. Here, the store’s staff of fifteen have the opportunity to interface with a refined group of customers who, like friends, have become loyal and frequent visitors. In-house training is provided to ensure that each staff member is knowledgeable about the various watch brands offered, and off-site training—as well as international brand specific education—provides an additional level of expertise. This is an important part of what Hamra Jewelers describes as its “ five-star experience,” since the majority of the store’s timepiece clientele are savvy individuals who own about five watches, with Patek Philippe and Rolex being the most popular. A highly trained on-site watchmaker is approved for a variety of watch repairs, including Rolex, Patek Philippe, Breitling and Tudor. A strong commitment to quality, service and integrity are qualities that no doubt keep customers coming back to Hamra Jewelers. The store offers exemplary after-sales service on all purchases, including professional cleaning, polishing, repairing and the checking of gemstones to ensure that they are secure in their settings. A full complement of additional onsite services is available, including expert ring re-sizing, gemstone replacement and jewelry plating. Hamra Jewelers’ talented designers are also on hand to incorporate precious gemstones into new or re-created pieces at a customer’s request, thereby creating one-of-a-kind custom designs. Thanks to current technology, customers are always in the know about Hamra’s latest news via Facebook, Twitter, Instagram, Pinterest, YouTube and the company blog. The corporate website is a dynamic opportunity to learn more about the company and its upcoming events, as well as to purchase products. Here, one can peruse the company’s timepieces and jewelry, as well as its bridal collection of engagement rings and wedding bands, in the comfort of one’s home or office. A staple of the company’s business for many years, Hamra Jewelers’ pre-owned and vintage watch and jewelry collections are extensive. 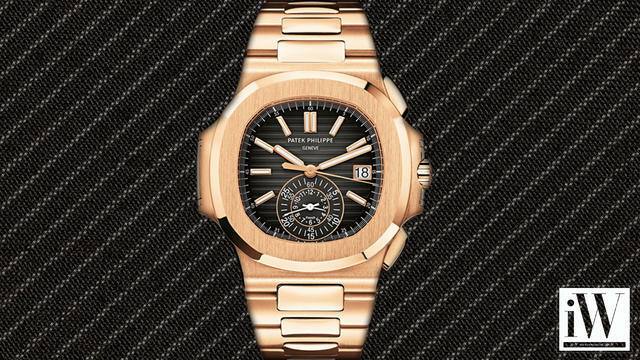 The corporate website offers details about the many pre- owned pieces available, and as another benefit to customers, an additional warranty is offered on pre-owned watches. Of course, trade-ins are welcome. 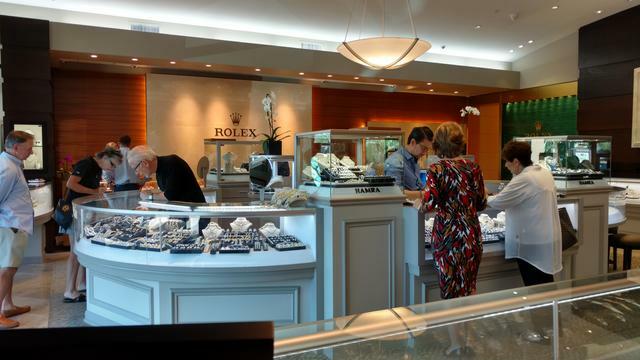 Hamra Jewelers is looking forward to a future as bright as the Scottsdale sun. With the company’s broad range of products, superior customer service and welcoming atmosphere, the store will no doubt continue to flourish and grow for generations to come, making new and lasting relationships in the process.